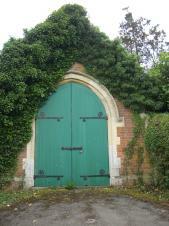 Weedon Bec does not have any Ancient Monuments however it does have numerous and delightful Listed Buildings. In the middle of Church Street stands the United Reformed Church and about 100 metres further east is the Parish Church of St Peter and Paul. Other listed items/buildings include the Old Bakehouse, the Viaducts, the Old Priory, Mullions, the Telephone box and many more. Standing prominently within the centre of the village is Weedon Depot - a collection of stunning building within its own boundary wall used by the military for many years and once serviced by the Grand Union Canal directly into site via a portcullis Gatehouse. A full listing is available at Daventry District Council - the list is below. HTML5 validated. WCAG compliant. Page generated in 0.0756 seconds.